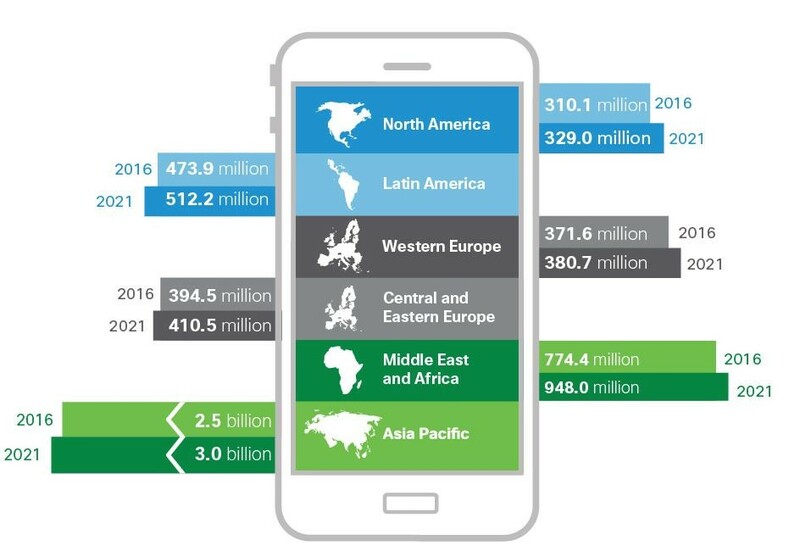 By 2021, more members of the global population will be using mobile phones (5.5 billion) than bank accounts (5.4 billion), running water (5.3 billion), or landlines (2.9 billion). That’s according to the 11th annual Cisco Visual Networking Index Forecast (2016 to 2021) which looks at global mobile data traffic trends for the coming 5 years. 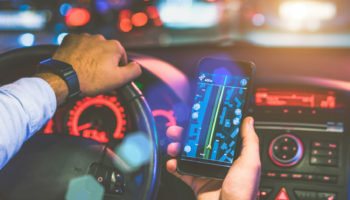 Strong growth in mobile users, smartphones and Internet of Things connections as well as network speed improvements and mobile video consumption are projected to increase mobile data traffic seven-fold over the next five years. Mobile data traffic to represent 20 percent of total IP traffic—up from just 8 percent of total IP traffic in 2016. 1.5 mobile devices per capita. Nearly 12 billion mobile-connected devices (up from 8 billion and 1.1 per capita in 2016), including M2M modules. Mobile network connection speeds will increase threefold from 6.8 Mbps in 2016 to 20.4 Mbps by 2021. Machine-to-machine (M2M) connections will represent 29 percent (3.3 billion) of total mobile connections—up from 5 percent (780 million) in 2016. 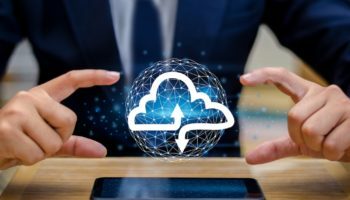 M2M will be the fastest growing mobile connection type as global Internet of Things (IoT) applications continue to gain traction in consumer and business environments. 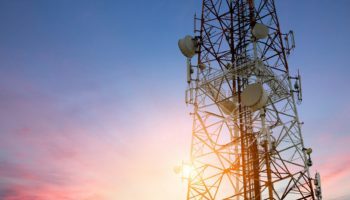 4G will support 58 percent of total mobile connections by 2021—up from 26 percent in 2016 and will account for 79 percent of total mobile data traffic. The total number of smartphones (including phablets) will be over 50 percent of global devices and connections (6.2 billion)—up from 3.6 billion in 2016. 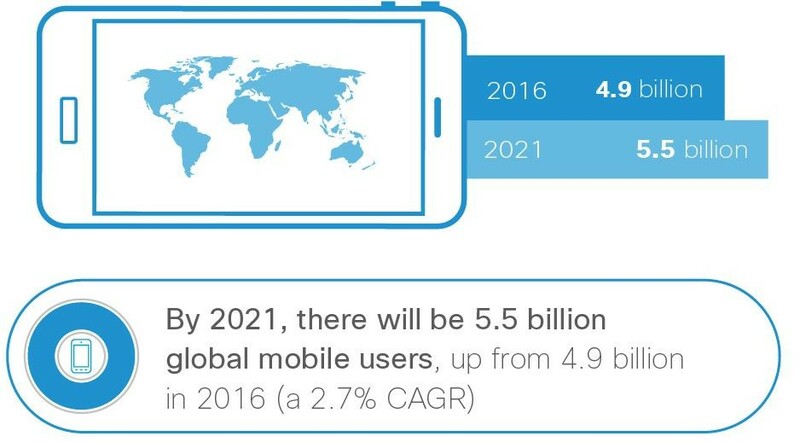 The explosion of mobile applications and adoption of mobile connectivity by end users is fueling the growth of 4G, soon to be followed by 5G growth. Cisco and other industry experts anticipate large-scale deployments of 5G infrastructures to begin by 2020. 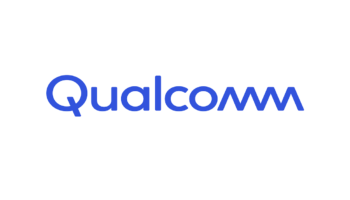 Mobile carriers will need the innovative speed, low latency, and dynamic provisioning capabilities that 5G networks are expected to deliver to address not just increasing subscriber demands but also new services trends across mobile, residential, and business markets. 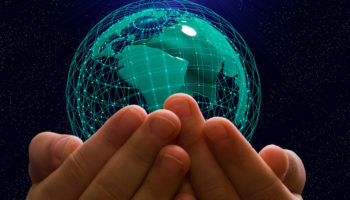 Cisco forecasts that 5G will account for 1.5 percent of total mobile data traffic by 2021, and will generate 4.7 times more traffic than the average 4G connection and 10.7 times more traffic than the average 3G connection. Mobile video will represent 78 percent of all mobile traffic by 2021. Live mobile video will represent 5 percent of total mobile video traffic by 2021. VR traffic will grow 11-fold from 13.3 petabytes/month in 2016, to 140 petabytes/ month in 2021. Total public Wi-Fi hotspots (including homespots) will grow six-fold from 2016 (94.0 million) to 2021 (541.6 million). Wi-Fi traffic from both mobile devices and Wi-Fi-only devices together will account for almost half (49 percent) of total IP traffic by 2020, up from 42 percent in 2015. Cisco’s VNI Global Mobile Data Traffic Forecast (2016‑2021) relies upon independent analyst forecasts and real-world mobile data usage studies as well as Cisco’s own forecasts.